6 of the Most Expensive Watches Worn by the World's Most Elite Athletes #Video ~ Visualistan '+g+"
Expensive Swiss mechanical watches don't have much practical use on the field, court, or track, though it's not uncommon to see the world's biggest athletes wearing high-end, luxury timepieces during their events. Watch brands are eager to sponsor the world's most elite athletes, including fighters like Floyd Mayweather to tennis champions like Roger Federer and Rafael Nadal. 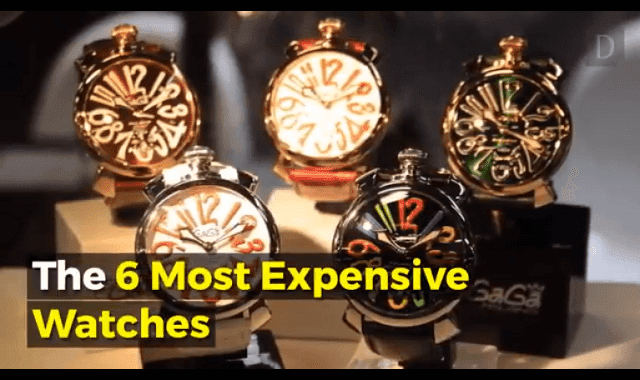 Watch the video to see 6 of the most expensive watches worn by the world's top athletes.